Carl Zeiss, AG has been one of the premier optics companies for over 150 years. The name is synonymous with optical quality, and their lenses carry high expectations. 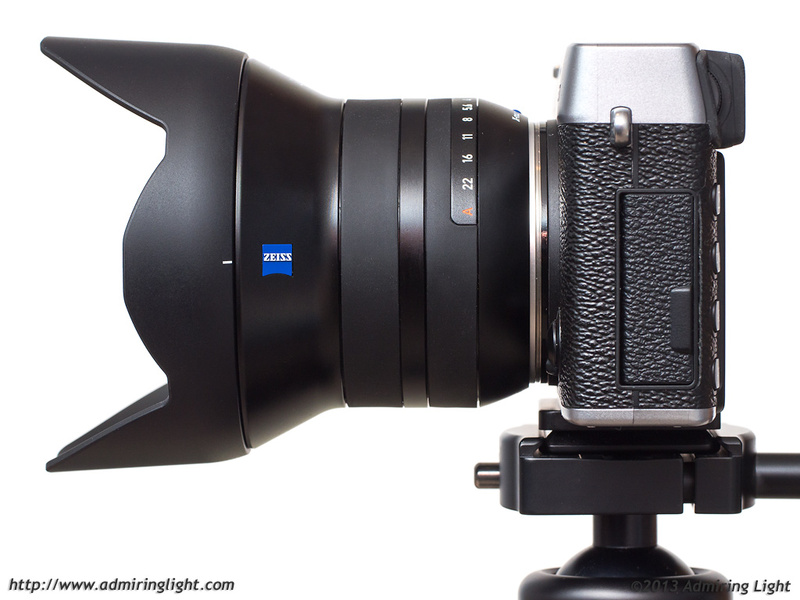 The majority of interchangeable lenses made by Zeiss have been manual focus lenses, from their extremely highly regarded Contax line of the 70s and 80s to the wonderful new ZE, ZF and ZS lines for SLRs. They have dabbled in autofocus lenses, first with the Contax G series rangefinder system, then the short-lived N-series SLRs, and most recently, the Zeiss branded lenses for Sony’s Alpha system. 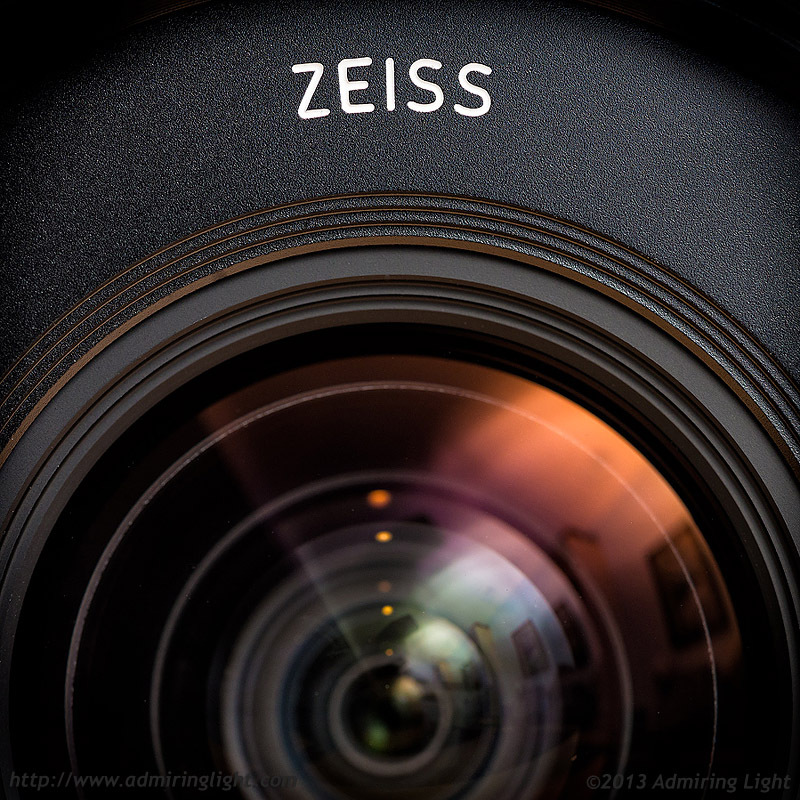 They also had previously released one Sony/Zeiss lens for the NEX series with their well-regarded 24mm f/1.8. 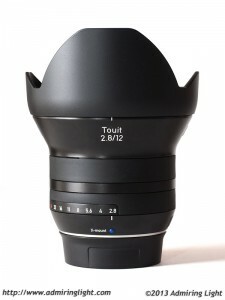 Now, Zeiss has thrown their hat full-bore into the mirrorless market, providing APS-C lenses with the new “Touit” branding, available for Sony E-mount and Fuji’s X-mount. The first two lenses in this series are the Touit 32mm f/1.8 Planar and the lens reviewed here today: the Touit 12mm f/2.8 Distagon. The version of the lens tested is the Fuji X-Mount version, though optically it is identical to the NEX version, and observations here should be valid for that mount as well. Earlier this week, I tested the Toiut 12mm against the Fuji 14mm. If you are interested in that comparison, check it out here. If you haven’t read my reviews before, I do not generally perform resolution tests or make charts to track quality measures. I take a real world approach to my reviews and evaluate how a lens or camera handles and works in the field. The Zeiss Touit 12mm f/2.8 Distagon is an ultra-wide angle lens with a field of view equivalent to an 18mm lens on a full frame camera. Zeiss has an outstanding reputation for their wide-angle optics, and there are high hopes that this lens will provide a very high quality ultra-wide choice for NEX shooters and a second great ultra-wide option for Fuji shooters who may want a little wider view than the outstanding Fujinon 14mm f/2.8. At $1,250, though, it’s an expensive lens, and so expectations are understandably high. If you’re a Fuji shooter, the first thing you’ll notice about the Touit 12mm f/2.8 is that it has a very modern aesthetic, especially compared to the rather old-school look of the Fujinon lenses. The lens has a solid metal body, smoothly finished in black, with two smooth rubber rings: one for focus, the other for aperture. The lens flares at the end and has a bayonet mount and filter mount (both of which are high quality plastic). The design of the lens is such that the large petal hood seamlessly integrates with the lens when mounted. I found the Touit 12mm to have a very sturdy build with absolutely no creaks or wobbles anywhere on the lens or in the moving parts. It’s a very well built lens. The aperture ring is coated in a smooth, tacky rubber that makes turning it rather easy. There are click stops for every 1/3 stop of aperture adjustment from f/2.8 to f/22, and a final detent for the ‘A’ setting to have the camera select the aperture. I found the aperture ring to have decent tactile feel, though I would prefer a little more resistance between stops. While the aperture ring feels fine with the grippy rubber, I found the same texture on the focus ring to be much less pleasing. There is a little too much friction and because everything is so smooth, there is almost no tactile feedback to turning the ring. it almost feels like you’re not actually turning anything. The actual manual focus system works fine, but I was not a fan of the feel when using it. 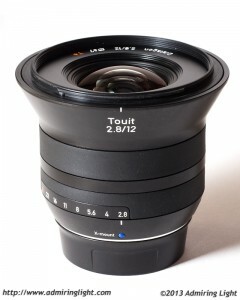 The Touit 12mm f/2.8 is roughly the same size as the Fuji 14mm f/2.8 in most ways. It’s similar in length and the main part of the barrel is also very similar in size. However, the Zeiss lens flares at the end to a larger diameter, and the hood is a little larger in diameter still. While this may seem to be a minimal size increase, in practice it makes the lens feel much larger. Take a look at the Touit 12mm mounted on the Fuji X-E1 below. The bulging end changes the whole size dynamic. It is worth noting that the flared end coupled with the very wide field of view will cause the lens to block the X-E1’s pop-up flash, casting a shadow over a large area of the bottom of the image. This is the case with or without the hood mounted. With the bigger diameter, it makes the lens feel quite large on the camera, which is a little disconcerting given that mirrorless cameras are, in large part, supposed to reduce the overall size of one’s kit. However, the biggest problem comes not in handling, but it getting the lens in and out of camera bags. The camera bags I use for my mirrorless cameras are relatively small, since the size reduction is one of the biggest draws for me. As such, the partitions used to hold lenses are smaller than in (much larger) bags that I would use to carry an SLR kit. The large diameter of the Touit 12mm makes it quite hard to get the lens in any of my bags while mounted, and required readjustment of the partitions in one of my bags, which makes for less space for other lenses. While the lens handles just fine when mounted on the camera, it was somewhat of a nuisance when I was switching between lenses. The autofocus motor on the Zeiss 12mm Distagon is a DC motor that is adequate for an ultra-wide angle, but it’s certainly not quick. Don’t expect to get a quick lock on a moving target when using this lens, but for most people, the speed will be fine given the typical subject matter for a lens this wide. I did find the autofocus to lock relatively easily and always accurately. The lens can focus to a minimum of 7 inches from the sensor plane, enabling good close-up ability. Very nice review, Jordan! And nice pics, too. Your findings, however are slightly at odds with mine (on a NEX 7). My Touit is definitely sharper at f:4.0 and beyond than wide open, to the extent that I only use f:2.8 when I have to. Conversely, it is really sharp (for a UWA lens, that is) at that point, to the extent that I wondered whether this extra measure of sharpness was not at the expense of micro-detail. My findings is that it is more biased towards putting color first than detail or sharpness, which is not unlike the “traditional” Leica rendering. But the context for NEX is slightly different from that on a Fuji, because the only competition is the Sony 10-18 zoom, in itself, almost as expensive as the Zeiss, and not quite as good on all fronts. But, of course, it is a zoom for those who need it/prefer it. What camera bag did you decide on to carry all your fuji x equipment.Ihad think tank mirroless mover 2.0,but with the addition of xf55-200 don’t know what small bag to purchase.Thanks,david. Thank you for your superb assessments of these fine lenses. You are very accurate and fair. I appreciate your site. Nice review. It would be nice an optical comparison of this lens with the same focal distance, one stop brighter, Rokinon 12mm f2. Just a suggestion. Since the price has dropped to about USD/EUR 800 the Touit 12mm has become a very interesting alternative to the Fujinon XF 14mm. Esp. now with the stunning Fujinon XF 16mm it is a much better focal length combination. As the Rokinon/Samyang 12mm is manual focus only and doesn’t support automatic aperture, it’s no viable alternative to me. Justin, thanks for this review. I did purchase an open-box 12mm for my X-T2, and agreed with your review on all points. I’m curious if you have ever tested it against Fuji’s 10-24 at 12mm, just for IQ, flare and contrast. 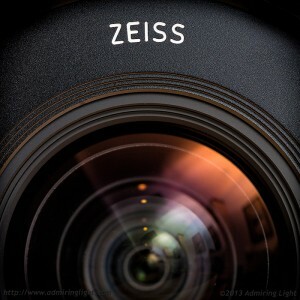 Pingback: Carl Zeiss Touit 2.8/12 ?????????????????? | ????????????? Pingback: ??????? Touit 2.8/12????????????????????????????? | ????????????? Thank you for your honest and detailed review of a lens that I’m seriously considering at the moment. I had always assumed that Zeiss lenses were completely out of my own price range, but for the next couple of weeks or so in the UK there is hardly any difference between the cost of this lens and the Fuji 14mm f2.8, which I’ve previously owned and been very satisfied with. Of course price is a factor for practically everyone and I suppose your own expectations would also have been partially influenced by comparable results from the same manufacturer on alternative camera systems. For what it’s worth, none of the five lenses I’ve thus far tried with my X-Pro1 have delivered much in the way of micro-contrast and so I wouldn’t have expected this one to be any different. It’s interesting though that many other Fuji users with prior knowledge of Zeiss have come to broadly similar conclusions as yours, but to be honest I find it puzzling how a previous Canon shooter, for example, could hope to mirror results from a Fuji camera by simply adding a Zeiss lens. It’s unrealistic and rather unhelpful for everyone else, but I found your own thoughts, by contrast, to be reasoned and most valuable. So thanks once again.